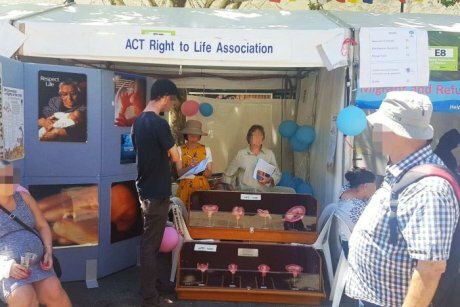 The National Multicultural Festival organisers have said they will assess their policy on information stalls after attendees complained about an anti-abortion tent at the event on Sunday. A social media post claiming the inclusive festival was no place to push moral agendas garnered hundreds of likes and dozens of comments expressing outrage. But Ms Khan said most of the complaints related specifically to the store’s display material, which included a detailed model of foetus development and a picture of baby feet dangling through adult fingers.